Recently, the LTA released a set of photos on Facebook showing the under-construction Bencoolen station. You can view the post here. 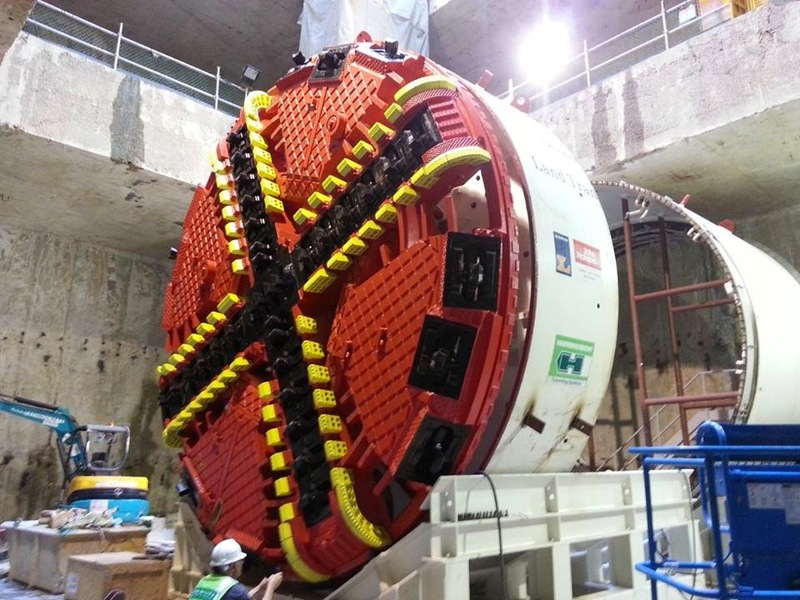 TBM cutterhead with cutter discs being removed. 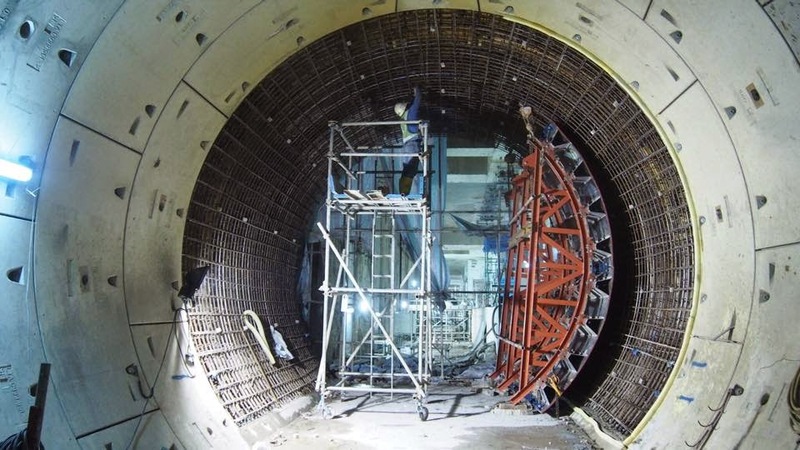 The TBM shield skin will be abandoned here and tunnel ring cast within. This is what the TBM looked like before. However, these photos lack showing the progress that has been made in recent weeks which were taken from neighbouring contact 935 for the construction of Jalan Besar station and tunnels towards Bencoolen station. Transporting formwork for the tunnel ring from Jalan Besar station to Bencoolen station. the abandoned TBM shield skin. Bencoolen station in the background. 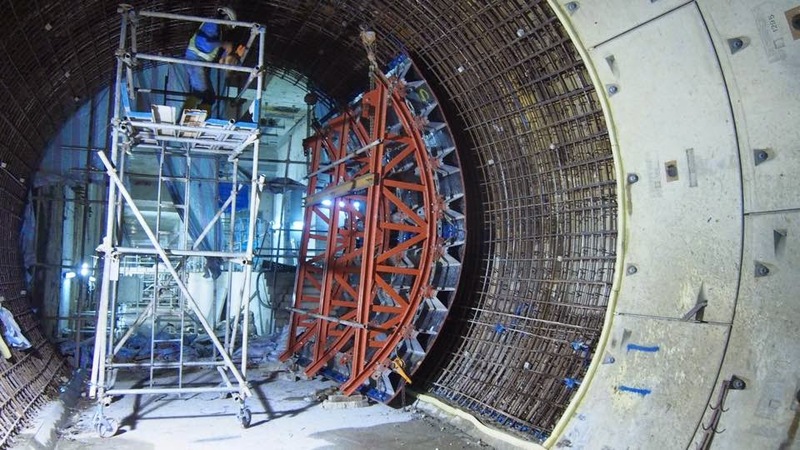 Casting underway for the tunnel ring within the abandoned TBM shield skin after internal components have been removed. Lowering the formwork within Jalan Besar station. Tunnel cable brackets installed and first stage concreting completed. 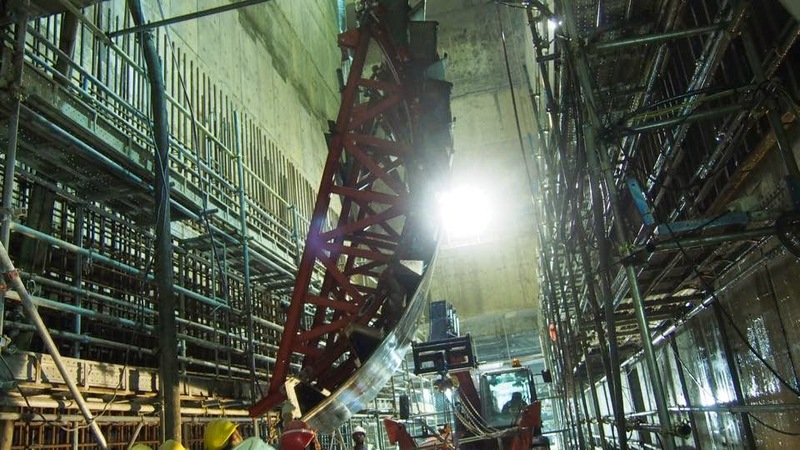 The LTA post shows the TBM that has broken through at Bencoolen station, presumably on the recent Expo bound tunnel, but doesn't show the progress seen on the Bukit Panjang tunnel. 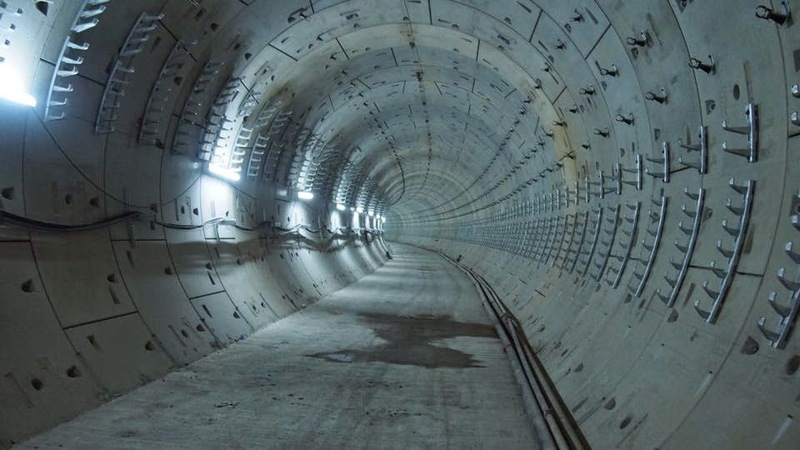 This tunnel has been equipped with the necessary utility brackets to support cables needed and first stage concreting has been completed ahead of trackworks that will come through. Prior to all this, the TBM components needed to be stripped out and removed. 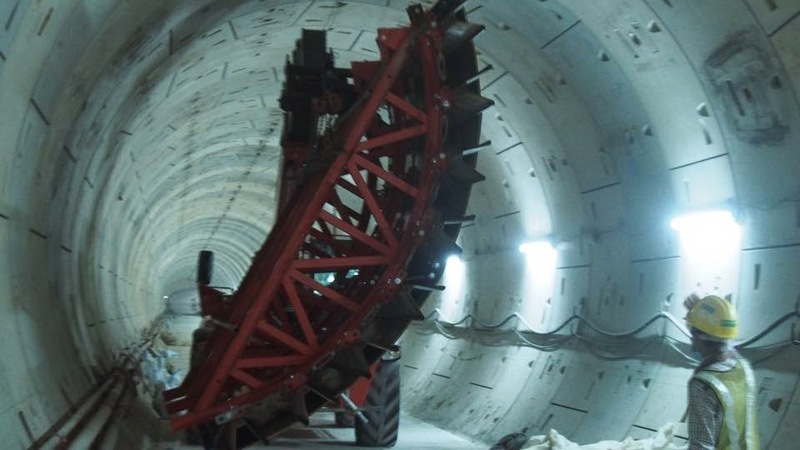 This is what the TBM in the first picture by LTA looked like before commencing its drive to Bencoolen station.